Winc Review - Legit Way to Get Quality Wine in the Mail? Home Subscription Boxes Alcohol Boxes Winc Review – Legit Way to Get Quality Wine in the Mail? Winc Review – Legit Way to Get Quality Wine in the Mail? Join today and get $20 off your first order! It just might be the “Netflix of Wine” after all, let’s find out! The temptation was too much to resist, and this is what led us to none other than Winc. A California based wine subscription service dedicated to providing an exceptional wine experience to its supporters. It has led them to putting their wines in big box brands all across the US. Unlike those higher-end wine subscriptions the rich of the rich only enjoy, a more casual approach is flaunted by none other than Winc, which was previously known as Club W. Their website is clean, and they carry themselves with a modern approach. Of course an upbeat wine in a box provider needs to have a few things that stand out among its competition, right? Of course! Cancel at any time, without hassles. We hate commitments, and therefore don’t favor wine subscription services that come with a contract. While there are only a few, they’re just not appealing in any way. When we saw that Winc lets you cancel easily at any time, no questions, they won our hearts. Flexibility has officially been defined. Things happen in life, and sometimes you just don’t need that box of wine for the month. Pause your deliveries at any time, and resume them with ease. 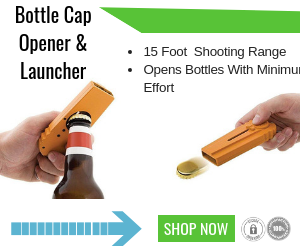 Just another way that Winc has shown the industry how to deliver game-changing customer service. Satisfaction guaranteed, or that bottle is on the house. You’ll have to head over to Winc’s website for the smaller details that go along with this, but if you don’t like a bottle they claim to not want you to pay for it. Just reach out and be aware of the technicalities should the need ever arise to do so. Customization is what sweetens the pie. From Rose to Cabaret, the selection is there. Starting lower than $40 per month, it’s affordable. Thought is shown throughout the entire process. Your purchase is covered by a money-back guarantee. It does require signing up for electronic payments. No free trials are made available. Just like with the many other wine subscription services, signing up can be done easily online. We outlined the process for your convenience below. •Fill out the survey and let your taste be known. It’ll only take 10-15 minutes to do this, if that. It’s a survey that everyone completes when they sign up to let Winc know what kind of taste they have for wine. When it comes to personalization, this is the stone that makes up the foundation. •Finalize the signup, and make your first payment. Make sure that the number of bottles you’ll receive and the frequency is just the way you want it. Now you’ll get a grand total, with a discount applied if it’s your first order, and you can confirm that it’s all ready to be shipped straight to you. •Every month, expect a new delivery of wine at your door. If you chose to go the monthly route, which is the most common, you’ll get a fresh batch of wine delivered to your doorstep each and every month. No more reminders on your phone to place another wine order, your taste is refined and the selection is chosen based upon it. Starting for a buck shy of $40 per month, Winc is on the economical side of wine subscriptions. It goes up from there depending upon your wine selection and how many bottles you want to add to your order each month. The more bottles you'd like each month, the better the savings get. In terms of the value received, they don’t slack when it comes to delivering respectable wines. Meaning that you don’t have to settle for a bargain-basement brand just because you got a decent price point on your subscription. There seems to be a lot of mixed emotions floating around about Winc, but they continue to hold down four stars regardless. The main negativity is from the fact that it is a recurring subscription, and for some reason it caught many off-guard financially. As long as you educate yourself about Winc and what needs to be known, it is a decent offering in the world of wine subscription boxes. Sure some of its competitors may out-perform it, but this doesn’t mean it should be written off the list entirely. In terms of affordability, this is where Winc shines the most. It is also where it has positioned itself in the market so that it has a long and successful future ahead. While you’ll find that selections may not be as intense as more expensive subscriptions, it’s still pretty good. The customer service could use improvement based upon consumer reviews where issues arose, but there’s always something that you have to deal with when embracing the cheaper price tag. Just go into the membership knowing that you’ll want to be self-reliant. Almost every subscription bills automatically, why? This is how the affordable prices are made possible. By ensuring a high level of demand from its subscriber base, it can make bigger purchases thus driving the cost down. It also gauges your level of seriousness indirectly. Can you expect to get the help you need, when you need it? This is one of Winc’s downfalls, as customers have reported negative customer service experiences in the past. This is a subscription that you’ll most likely want to self-manage and not expect too terribly much from Winc in terms of assistance. Unlike certain wine clubs, Winc doesn’t add a high fee to get the box shipped each month. They have embrace a pricing structure that also includes the cost of shipping and handling. You could say that the cost of delivery is on the house. How do I keep my taste preferences updated? Provide your feedback in the form of reviews each time you try a bottle from your delivery. By doing this, you’re updating your preferences and helping Winc send a better suited wine next month. How do I manage my Winc account? You can manage your account via their website or over the phone. From skipping a month to gifting a subscription, your account gives you all of the control over your wine subscription that you could possibly need. Will there be different regions embraced during selection? Winc has a network of farms around the world to ensure the most diverse wine experience possible for its supporters. This means that you’re not just going to be stuck getting an endless supply of California wine so to speak, even though it is good. For the serious at heart, this doesn’t quite boast the quality level that a wine connoisseur demands. While the quality is good, it just isn’t the best of the best. So if perfection is what you seek, it’s not the best option. However, if you’re not as picky, its affordability and decent quality combined make it worth a try. Just give it a try one month and see if you should look elsewhere or if it is actually what you really need. 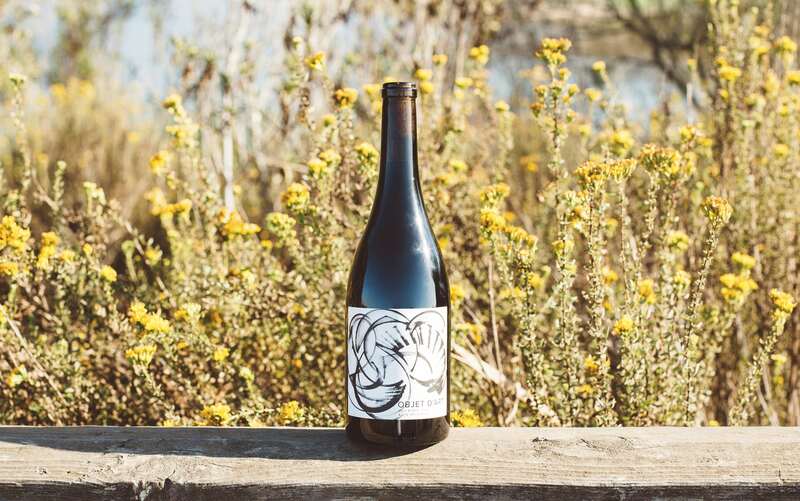 What it comes down to is that Winc is your “run of the mill” wine subscription. It doesn’t have outstanding attributes, but it’s not a total disaster either. For those wanting a decent subscription to solve their demand for wine, it could be a good choice. We do feel that given time they could become better as a whole. Unfortunately right now, there’s nothing that pushes their needle off the field of average. In all, Winc is a "get what you pay for" service. It doesn't have a lot of frills but it's certainly an effective service. Their wine quality is good and their service is simple. It may not be the best in its market but it's worth a look. Dakota plans out and publishes awesome content that keep our readers coming back for more. In his free time, Dakota enjoys hiking and exploring the outdoors, testing nutritional supplements, and keeping up with the latest tech. My roommate and I enjoy this box. It’s a nice substitute for boxed Franzia every week, which we spend the same amount on anyways. We aren’t too picky when it comes to alcohol, so this sub box is perfect.